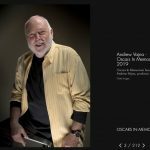 Andrew G. Vajna, a Hungarian-American film producer behind blockbuster movies such as Terminator 3 who went on to head the Hungarian National Film Fund which backed Hungarian Oscar winner Son of Saul, has died aged 74 in his Budapest home after a long illness, the Hungarian National Film Fund told MTI on Sunday. Vajna, the government commissioner in charge of the development of Hungary’s film industry who set up the Hungarian National Film Fund which supported a slew of internationally prize-winning Hungarian films, was born in Budapest in 1944. 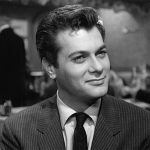 In 1956, aged 12, he fled Hungary on his own and emigrated to Canada with help of the Red Cross, and later reunited with his parents in Los Angeles. He studied at University of California Los Angeles and started working at the university’s Educational Motion Picture Department. Later he set up his own photo studio before establishing his own wig manufacturing company and operating cinemas in Hong Kong. 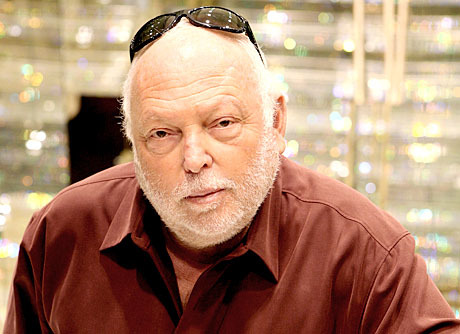 Vajna produced 59 films in all, including the Evita starring Madonna and Sylvester Stallone’s first three Rambo films. He worked with directors such as Oliver Stone and James Cameron, and actors like Sylvester Stallone, Arnold Schwarzenegger, Anthony Hopkins, Gary Oldman, Michael Douglas, Robert de Niro, Demi Moore, Sharon Stone and Scarlett Johansson. He was co-owner in Hungary of the film production company Korda Studios in Etyek, commercial television TV2 and commercial radio Radio 1 and the Casino Las Vegas. In a statement in tribute to Vajna, the Hungarian National Film Fund noted that Vajna never had forgotten his Hungarian roots and always closely followed the domestic film industry. During his period as a government commissioner, Hungarian films which notched international successes include Son of Saul, On Body and Soul, 1945 and Kincsem. He played an indisputable role in boosting the Hungarian film industry, the fund added. The volume of film productions in Hungary grew by almost fivefold during his period. During the “Vajna era”, Hungarian films supported by the film fund won hundreds of international prizes, including an Oscar, a Golden Globe and a Golden Bear, they added. “We are bidding farewell to the greatest Hungarian film producer. Hasta la vista, Andy! Thank you for everything, my friend!” Prime Minister Viktor Orbán said on his Facebook page.